A LEGAL challenge to the election of Liberal Democrat MP Alistair Carmichael will be heard in Edinburgh in September, a judge has confirmed. The Election Court will sit on September 7 and 8 in the Court of Session, Lady Paton said at a hearing today. 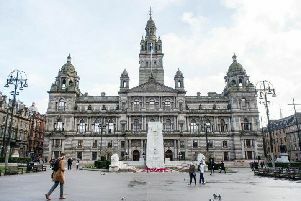 The case, which is thought to be the first election petition brought in Scotland since 1965, will be heard by two judges - Lady Paton and Lord Eassie. The court is considering how the proceedings can be broadcast live, with a further hearing due to take place on August 31 to finalise any arrangements. The petition was lodged by four of Mr Carmichael’s Orkney and Shetland constituents in a bid to oust him. The former Scottish secretary has come under pressure to quit after admitting responsibility for a leaked memo written by a civil servant which wrongly suggested First Minister Nicola Sturgeon wanted David Cameron to win the general election. Cabinet Secretary Sir Jeremy Heywood ordered an inquiry after the memo, which claimed Ms Sturgeon told French ambassador Sylvie Bermann that she would prefer to see the Conservatives remain in power, became public. Following the investigation, Mr Carmichael, who had previously insisted he was unaware of the memo, admitted he had allowed his special adviser, Euan Roddin, to release details of the document which appeared in the Daily Telegraph on April 3. The legal challenge is being brought under Section 106 of the Representation of the People Act 1983, which makes it a criminal offence to release a “false statement” about the character and conduct of an election candidate. The trial is usually held in the constituency where the election took place, unless the court is satisfied there are special circumstances for it to be held elsewhere. In the wake of the memo fallout, Mr Carmichael apologised and said he would have resigned had he still been a government minister. He also declined his ministerial severance payment. The MP was one of just eight Lib Dem survivors in the general election on May 7, but his majority of more than 10,000 was squeezed to 817 votes by the SNP. A crowd-funding appeal to raise money for the legal challenge against his election raised more than £60,000.